Operator friendly intuitive user interface and remote accessibility, combined with the transparency of real-time monitoring and electronic help features built right into the Human Machine Interface (HMI). OSCAR knows how to help plants achieve their treatment goals. 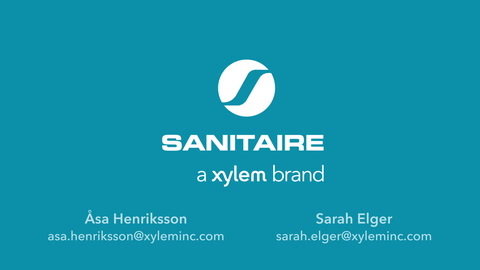 The Sanitaire OSCAR system comes standard with a control panel including PLC and HMI, aeration controller, and service. Additional customizable hardware and software components and services are available. See our System Components tab for more information and learn more about what some of the options below can do for you. OSCAR knows reliable controls. All control panels are programmed and tested prior to shipment, using state of the art components that are well known throughout the industry. OSCAR knows security. To ensure peace of mind when accessing your control system remotely, the OSCAR system uses a highly rated EWON webport. OSCAR knows electronic help features. The HMI includes alarm management and troubleshooting, process trending, maintenance alerts and O&M manuals all accessible directly in the GUI and available remotely, giving operators the tools needed to successfully and efficiently operate their wastewater treatment plant. OSCAR knows instrumentation. The OSCAR system uses the most advanced Xylem brand sensors from WTW YSI and MJK for reliable monitoring. OSCAR knows biomass control. The optional SIMS controller monitors and controls sludge wasting to maintain a stable biomass resulting in consistent settling characteristics, energy optimization and reliable, high-quality effluent. OSCAR knows nutrient control. The optional nutrient controllers (ammonia control, nitrate control, phosphorus control, and/or NURO control) measure actual effluent nutrient concentrations to optimize aerobic, anoxic and/or anaerobic conditions as required to meet permit, resulting in energy savings of 20% or more. OSCAR knows aeration control. The standard aeration controller adjusts blower and valve operation of the aeration system to stably maintain the required dissolved oxygen concentration, resulting in minimum energy consumption. Each OSCAR system is engineered to order to meet project specific needs and all panels are tested prior to shipment. At Xylem, our biological process experts works with consulting engineers, end users, contractors and system integrators to ensure proper design of the entire wastewater treatment plant. A process control panel comes standard with any OSCAR system. The control panel includes a control cabinet, PLC, HMI, Webport, HOA switches, and pilot lights. Power equipment such as motor starters, variable frequency drives and motor control centers may be provided based on equipment requirements. Power components can be provided as panel mount, wall mount, and/or housed in a motor control center. Process and liquid instrumentation is included as required to support monitoring and/or controller features. Process and instrumentation safety nets are included as needed based on the selected process controllers. Safety nets detect sensor or process issues, and if critical, automatically switch to safe mode of operation. Process and liquid monitoring included as requested on the HMI. Secure remote access can be provided upon request for both in-plant and out-of-plant, allowing for both visibility and control. Xylem provides 24/7 remote telephone support, including remote access for troubleshooting, technical support and program changes. Motor starters and variable frequency drives can be provided as panel mount, wall mount, and/or housed in motor control center. Beckhoff industrial PC, Aspect Ratio 16:9 and Screen size 15"